I love it when my husband puts the New York Times Dining section at my “spot” at the kitchen table and says, “Why don’t we have this for dinner?”!! Sometimes life is so much easier when someone hands you a plan! If you didn’t already guess, that is the story of this meal. 🙂 This dish was adapted from The New York Times, contributed by David Tanis. I increased the amount of garlic and cauliflower, and used panko instead of coarse breadcrumbs. Cheesy and tasty. Put 3 tablespoons olive oil in a wide skillet over high heat. Add cauliflower slices, along with any crumbly pieces, in one layer. (Work in batches if necessary.) Let cauliflower brown and caramelize for about 2 minutes, then turn pieces over to brown the other side. Cook for another 2 minutes, or until the cauliflower is easily pierced with a fork. It’s fine if some pieces don’t brown evenly. Season browned cauliflower generously with salt and pepper. Add capers, garlic, red pepper flakes, chopped sage, sage leaves and lemon zest and stir to coat. Bake, uncovered, for 20 to 30 minutes, until top is crisp and golden. Sprinkle with freshly chopped parsley before serving. That does sound good. Your husband can pick ’em! And I’m in complete agreement about how lovely it is when someone else has a meal plan and all you have to do is produce it. Bliss! Haha, my husband does that all the time! My Dad also is ruthless with my mom, it’s like she runs a restaurant with him!!! Him as the customer that is. But here we have yet another creamy dish of pasta deliciousness from you . . . you are my favorite pasta chef. David Tanis is wonderful, too . . . so no nonsense. Looks great Josette! Josette, pasta :). Love this interesting pasta with cauliflower and lemon and capes going on together. What an interesting combination of flavors with salty fontina. Just brilliant. A perfect fall dish. You had me at cauliflower! And yes, sometimes it seems the inspiration for a dinner is the hardest part of cooking! Well, I can’t stop thinking about this! LOL – I think I’m going to have to go to the store today just to make it! 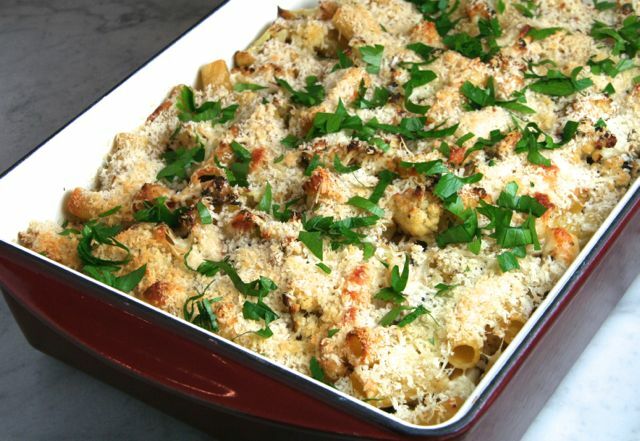 What a wonderful pasta dish–it looks so good! I love pasta and cauliflower! Lovely dish. Thanks, Darya. 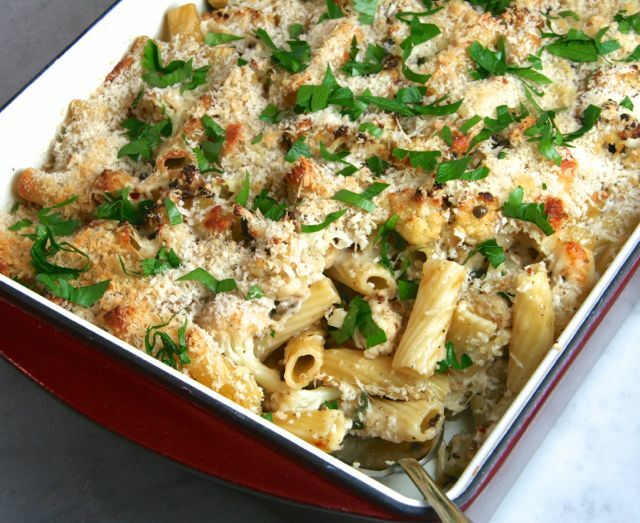 🙂 Perfect for fall- I love it with all of the creamy cheese!